The Maze Runner Took is an essential accessory for those who enjoy outdoor activities particularly in low light or darker conditions. 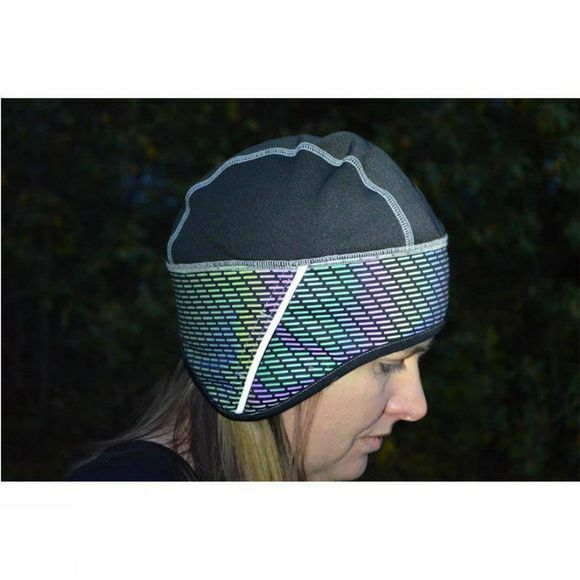 This hat includes a reflective Extremities X Glo print which appears grey in daylight but comes alive in a rainbow of colour in darker conditions when any light source hits it. The Extremities X Glo print runs around the hat providing 360° reflection making night time walking and running safer as you know you are more visible to vehicles around you. The hat is also designed with a covered gap in the side seams to make wearing glasses and headphones a breeze. Not only does this hat offer you added safety when out enjoying your activities it provides wind-blocking protection too. 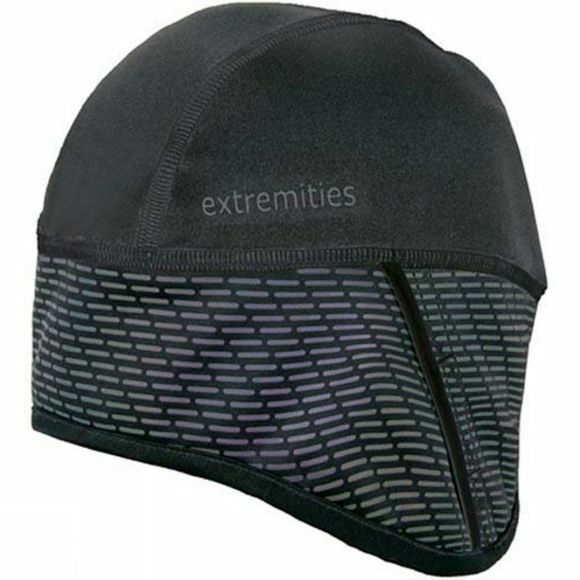 The Extremities X Block technology protects from windchill but is still breathable - keeping your head warm but letting perspiration escape.